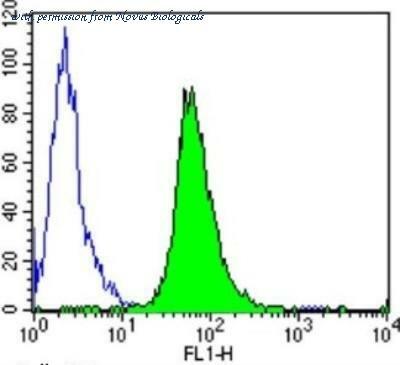 Immunofluorescent analysis of Glucocorticoid Receptor using Glucocorticoid Receptor Monoclonal Antibody (BuGR2) (Product# MA1-510 ) shows staining in A549 Cells. Glucocorticoid Receptor (green), F-Actin staining with Phalloidin (red) and nuclei with DAPI (blue) is shown. Cells were grown on chamber slides and fixed with formaldehyde prior to staining. Cells were probed without (control) or with an antibody recognizing Glucocorticoid Receptor (Product# MA1-510 ) at a dilution of 1:100 over night at 4 ?C, washed with PBS and incubated with a DyLight-488 conjugated secondary antibody (Product# 35552 for GAR, Product# 35503 for GAM). Images were taken at 60X magnification. Immunofluorescent analysis of Glucocorticoid Receptor using Glucocorticoid Receptor Monoclonal Antibody (BuGR2) (Product# MA1-510 ) shows staining in Hela Cells. Glucocorticoid Receptor (green), F-Actin staining with Phalloidin (red) and nuclei with DAPI (blue) is shown. Cells were grown on chamber slides and fixed with formaldehyde prior to staining. Cells were probed without (control) or with an antibody recognizing Glucocorticoid Receptor (Product# MA1-510 ) at a dilution of 1:100 over night at 4 ?C, washed with PBS and incubated with a DyLight-488 conjugated secondary antibody (Product# 35552 for GAR, Product# 35503 for GAM). Images were taken at 60X magnification. Immunofluorescent analysis of Glucocorticoid Receptor using Glucocorticoid Receptor Polyclonal Antibody (Product# PA1-511A ) shows staining in Hela Cells. Glucocorticoid Receptor (green), F-Actin staining with Phalloidin (red) and nuclei with DAPI (blue) is shown. Cells were grown on chamber slides and fixed with formaldehyde prior to staining. Cells were probed without (control) or with an antibody recognizing Glucocorticoid Receptor (Product# PA1-511A ) at a dilution of 1:20 over night at 4 ?C, washed with PBS and incubated with a DyLight-488 conjugated secondary antibody (Product# 35552 for GAR, Product# 35503 for GAM). Images were taken at 60X magnification. The Glucocorticoid receptor antibody from Proteintech is a rabbit polyclonal antibody to a fusion protein of human Glucocorticoid receptor. This antibody recognizes human, mouse, rat antigen. 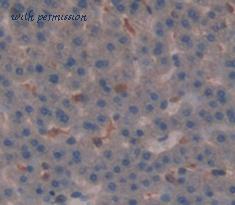 The Glucocorticoid receptor antibody has been validated for the following applications: ELISA, WB, IF, IP analysis. 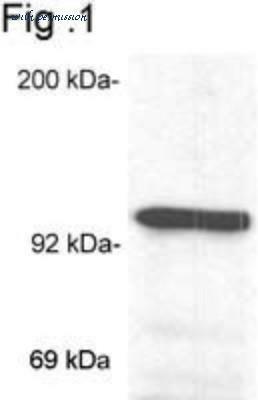 The Glucocorticoid receptor antibody from Proteintech is a mouse monoclonal antibody to a recombinant protein of human Glucocorticoid receptor. This antibody recognizes human,mouse,rat antigen. The Glucocorticoid receptor antibody has been validated for the following applications: WB, ELISA analysis. 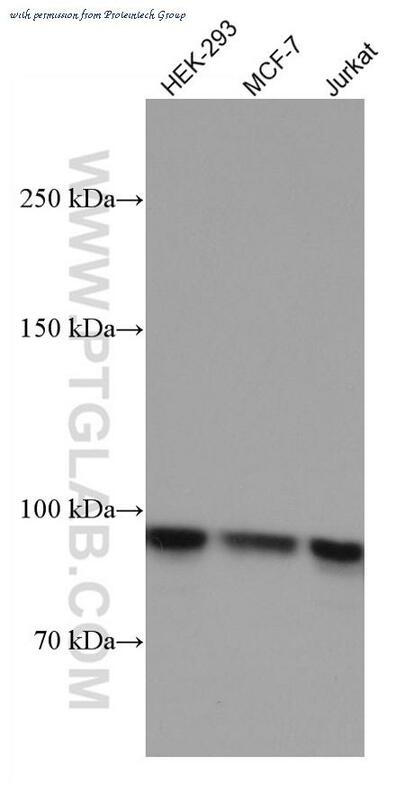 Figure: Western blot analysis of glucocorticoid receptor on mouse liver extract using Prod. No. ALX-803-006. Immunocytochemistry/Immunofluorescence: GR/NR3C1 Antibody (BuGR2) [NB300-731] - Analysis of Glucocorticoid Receptor using Glucocorticoid Receptor Monoclonal Antibody (BuGR2) shows staining in U251 Cells. Glucocorticoid Receptor (green), F-Actin staining with Phalloidin (red) and nuclei with DAPI (blue) is shown. Cells were grown on chamber slides and fixed with formaldehyde prior to staining. Cells were probed without (control) or with an antibody recognizing Glucocorticoid Receptor at a dilution of 1:100 over night at 4C, washed with PBS and incubated with a DyLight-488 conjugated. Western Blot: GR/NR3C1 Antibody (BuGR2) [NB300-731] - Analysis of glucocorticoid receptor on mouse liver extract. Flow Cytometry: GR/NR3C1 Antibody (BuGR2) [NB300-731] - Analysis of Glucocorticoid Receptor in NIH/3T3 cells compared to an isotype control (blue). 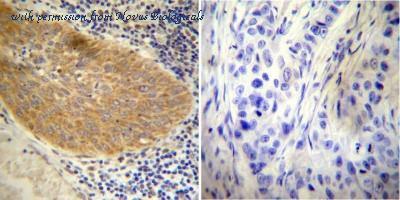 Immunohistochemistry-Paraffin: GR/NR3C1 Antibody [NB300-610] - Both normal and cancer biopsies of deparaffinized human Cervical carcinoma tissue. 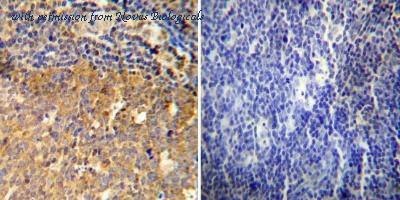 Immunohistochemistry-Paraffin: GR/NR3C1 Antibody [NB300-610] - Both normal and cancer biopsies of deparaffinized human Tonsil tissue. 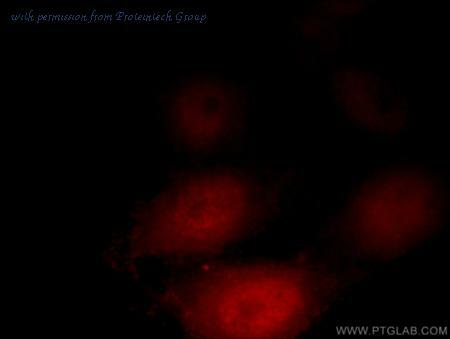 Immunocytochemistry/Immunofluorescence: GR/NR3C1 Antibody [NB300-610] - Analysis of Glucocorticoid Receptor using Glucocorticoid Receptor Polyclonal Antibody shows staining in U251 Cells. Glucocorticoid Receptor (green), F-Actin staining with Phalloidin (red) and nuclei with DAPI (blue) is shown. Cells were grown on chamber slides and fixed with formaldehyde prior to staining. Cells were probed without (control) or with an antibody recognizing Glucocorticoid Receptor at a dilution of 1:20 over night at 4C, washed with PBS and incubated with a DyLight-488 conjugated. Immunocytochemistry/Immunofluorescence: Glucocorticoid Receptor alpha Antibody [NB300-633] - Analysis of Glucocorticoid Receptor alpha using Glucocorticoid Receptor alpha Polyclonal Antibody shows staining in U251 Cells. Glucocorticoid Receptor alpha (green), F-Actin staining with Phalloidin (red) and nuclei with DAPI (blue) is shown. Cells were grown on chamber slides and fixed with formaldehyde prior to staining. 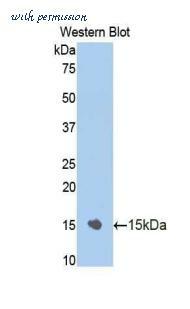 Cells were probed without (control) or with an antibody recognizing Glucocorticoid Receptor alpha at a dilution of 1:100 over night at 4C, washed with PBS and incubated with a DyLight-488 conjugated. Western blot of recombinant NR3C1/Glucocorticoid Receptor. This image was taken for the unconjugated form of this product. Other forms have not been tested.